And then we were four: My missing post! I can't figure out what to do with this blog - keeping two blogs has proven difficult. I'll post this one and for now will direct you to my other blog at Dwell Wool Knits. I promise to share more often besides businessy stuff. I hope you don't mind! I have been a very bad blogger lately, haven't I? Sorry!!! We are indeed still here and alive. We've been living with Justin's parents since November 1st - and here it is the beginning of February. The time has flown past! We had a number of milestones while living here. For his birthday we had his aunties and uncles over for a big meatballs with spaghetti dinner. He had a blast with his cousin Ava and opened up his gifts so fast I don't think he noticed what he got until the next day when he was asking where everything came from. 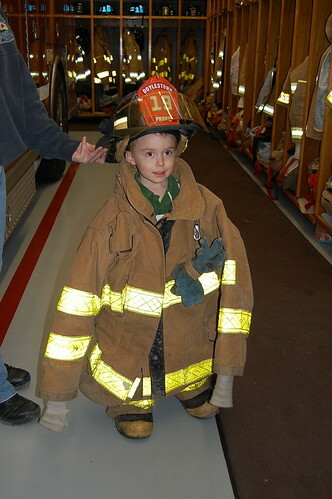 ;) Mimi and I took he and Liam to the Doylestown Firehouse on his actual birthday. 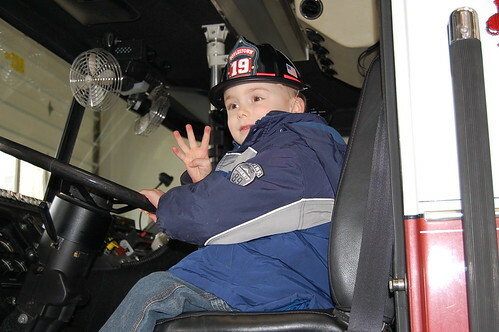 He had a private tour of the entire station! Check out the fire dude! Liam enjoyed eating Jackson's birthday cake. 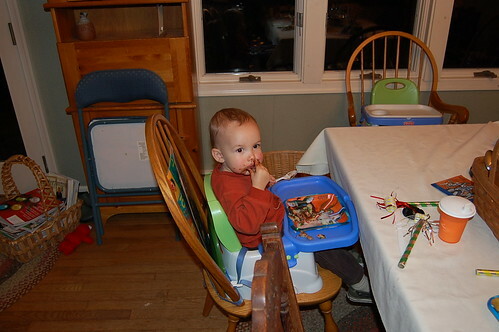 We all went to the other room for gift opening and didn't realize Liam was still eating. Apparently he liked it this way without any interruptions. 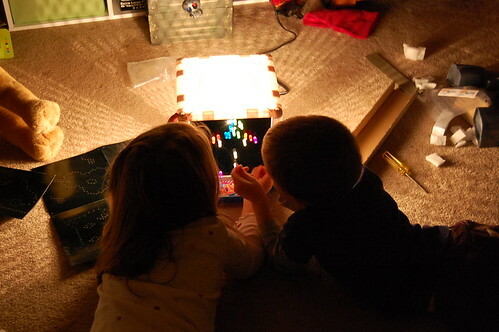 For a gift from Uncle Jon and Aunt Emily, Jackson got this really cool Light Brite cube. He and Ava were trying it out that night. Your little guys are sooo cute and your knitting is awesome!! !